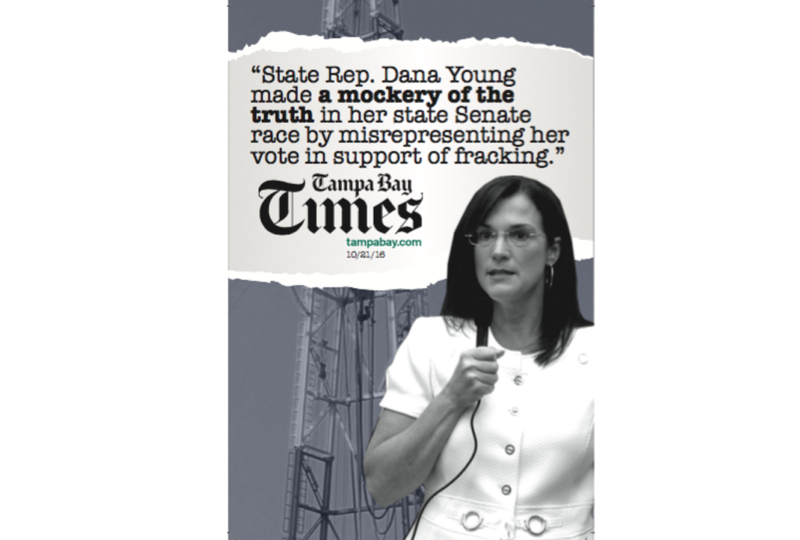 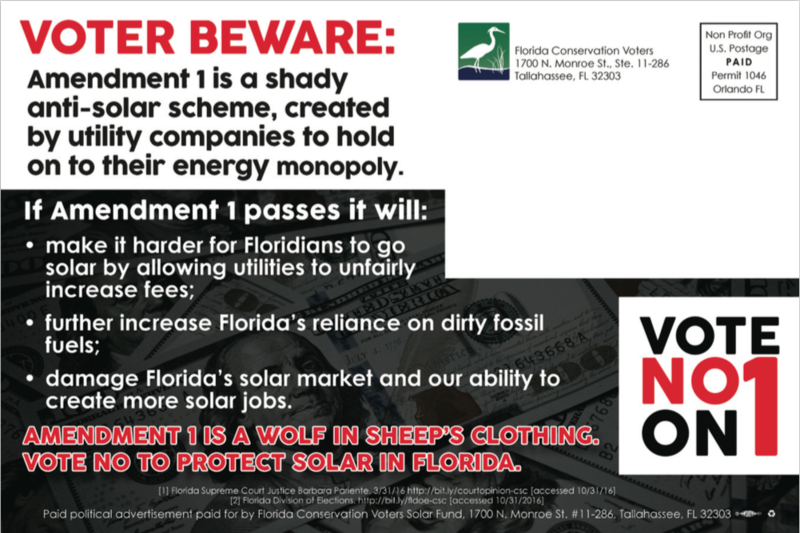 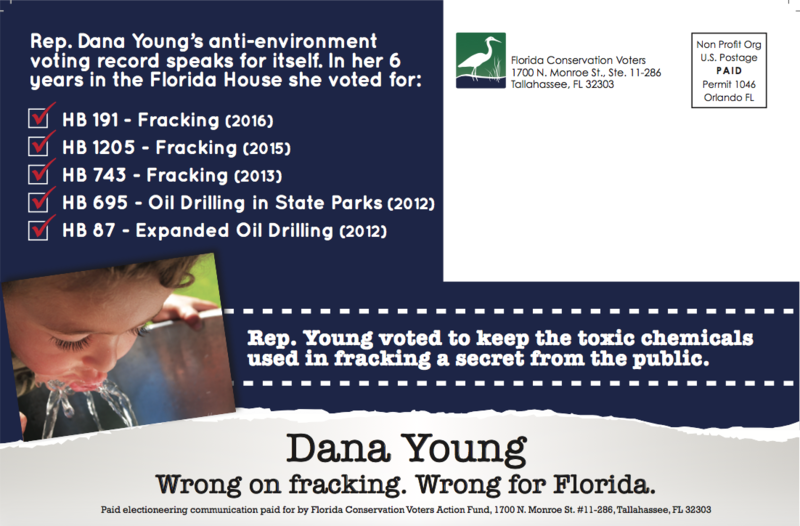 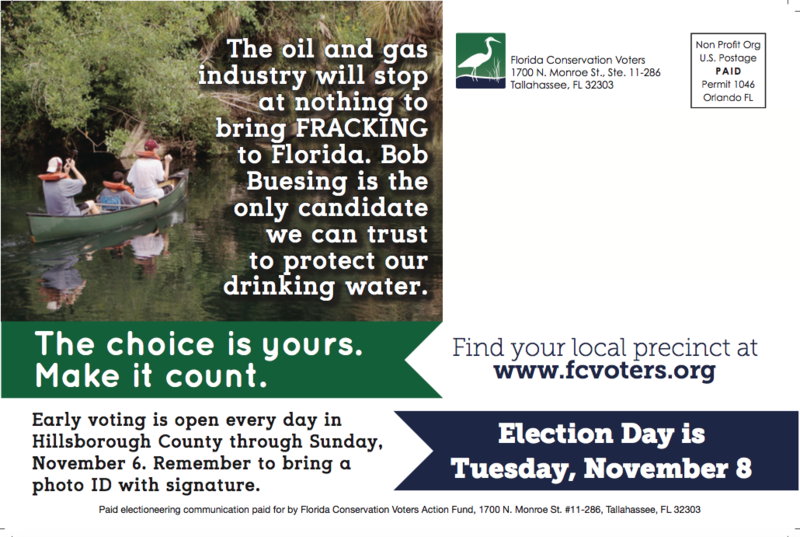 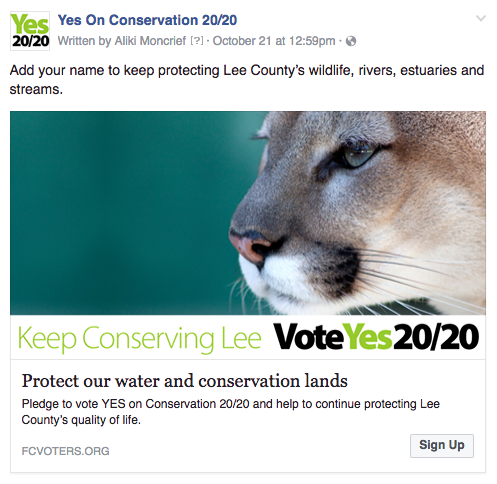 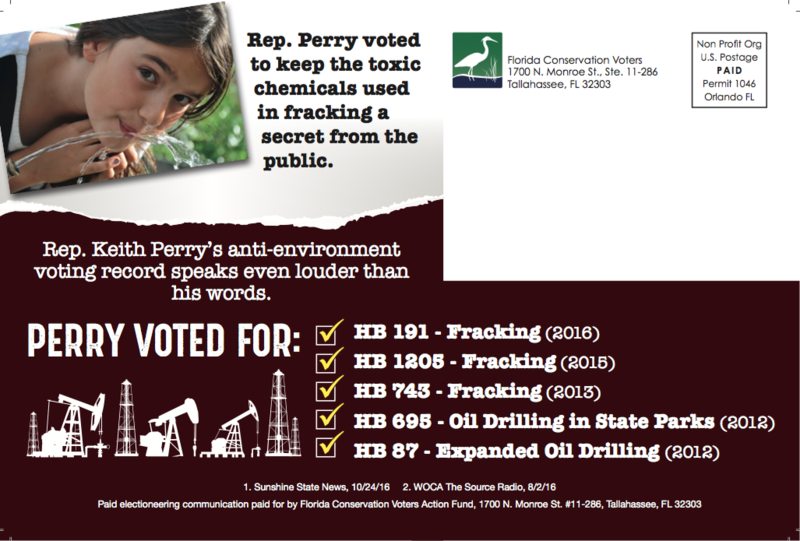 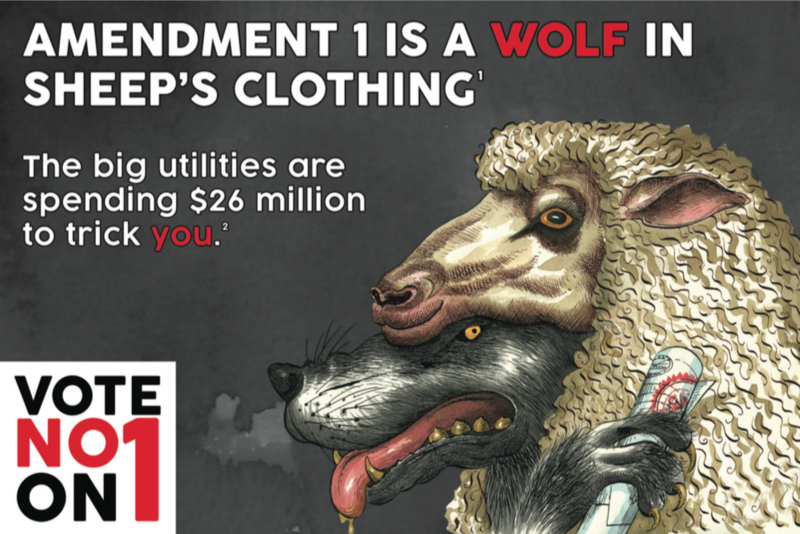 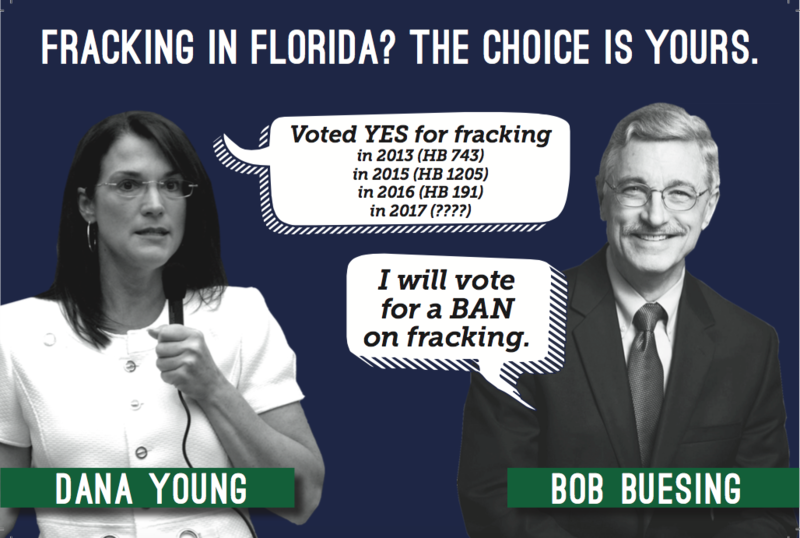 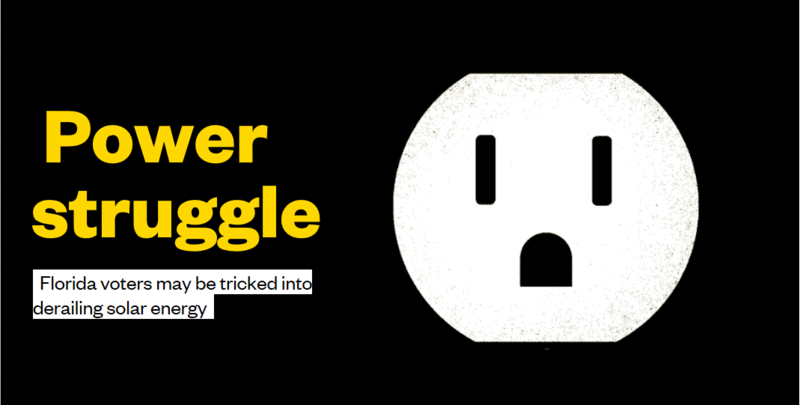 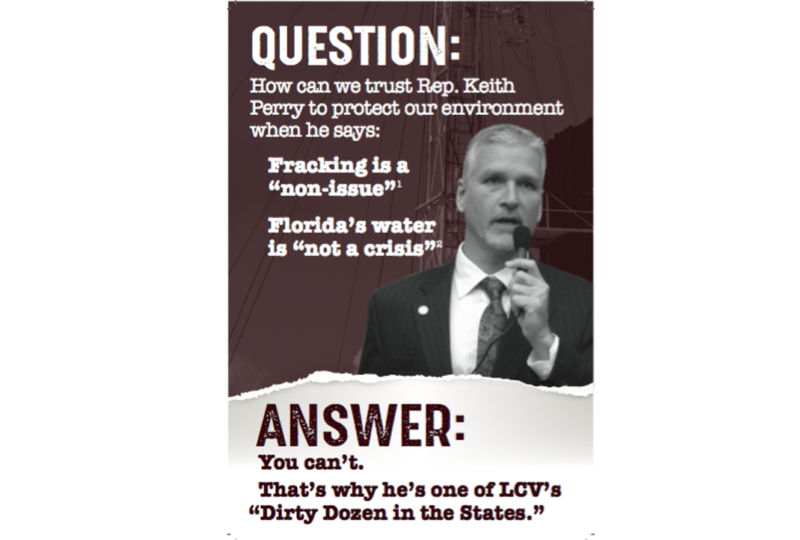 "I think that they are pumping more money into their misinformation campaign because they're losing voters," said Aliki Moncrief, Executive Director of Florida Conservation Voters. 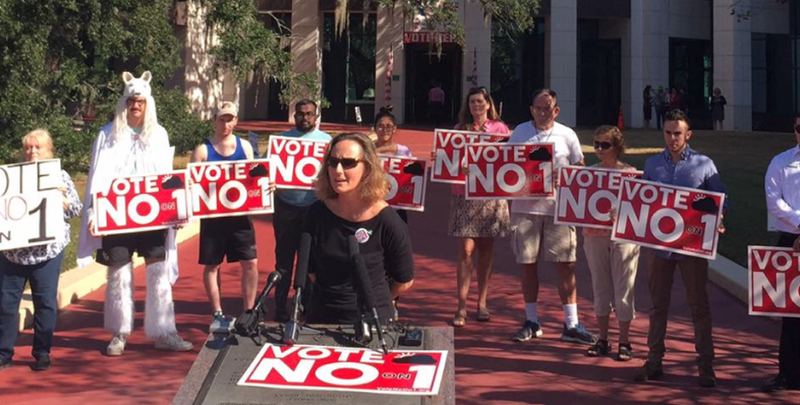 “The opposition to the amendment has been largely grassroots. 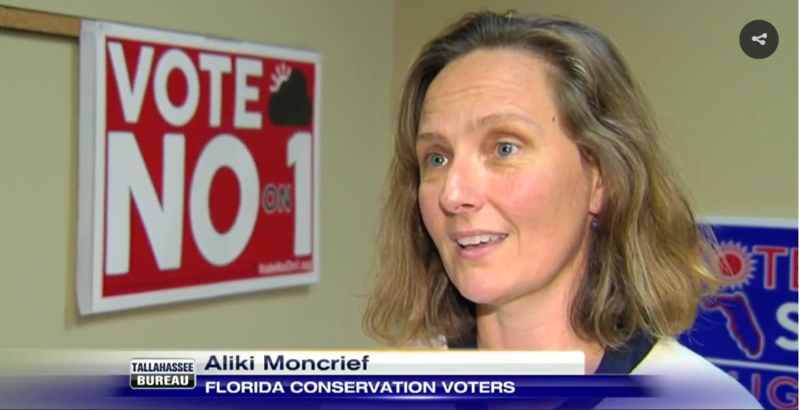 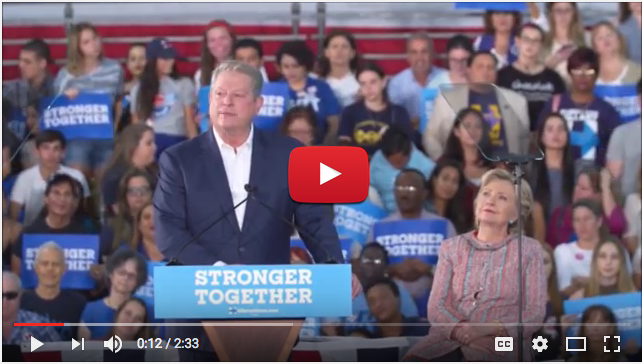 It's been largely organizations like ours and Sierra Club and labor organizations trying to get the word out to their members without a lot of money," said Aliki Moncrief, Executive Director of Florida Conservation Voters. 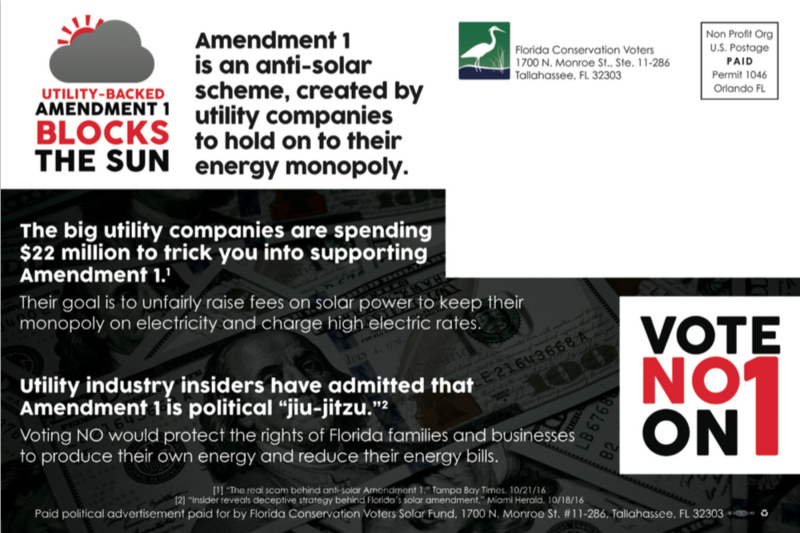 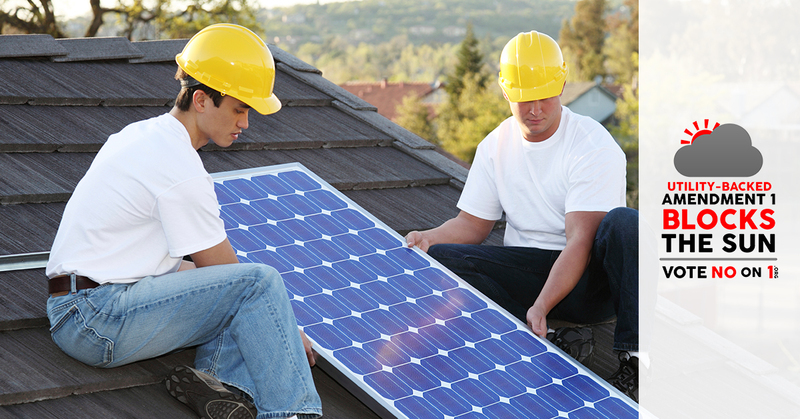 In the end, we defeated the anti-solar amendment! 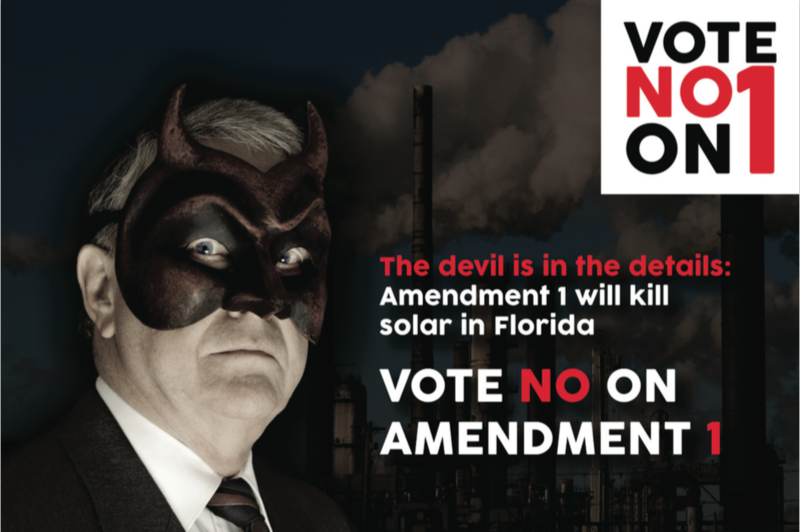 Constitutional amendments in Florida require 60% approval to pass. 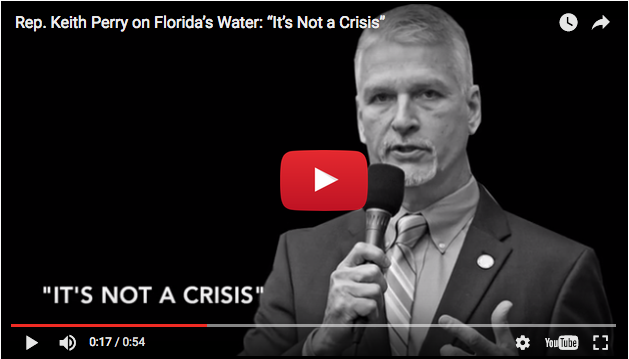 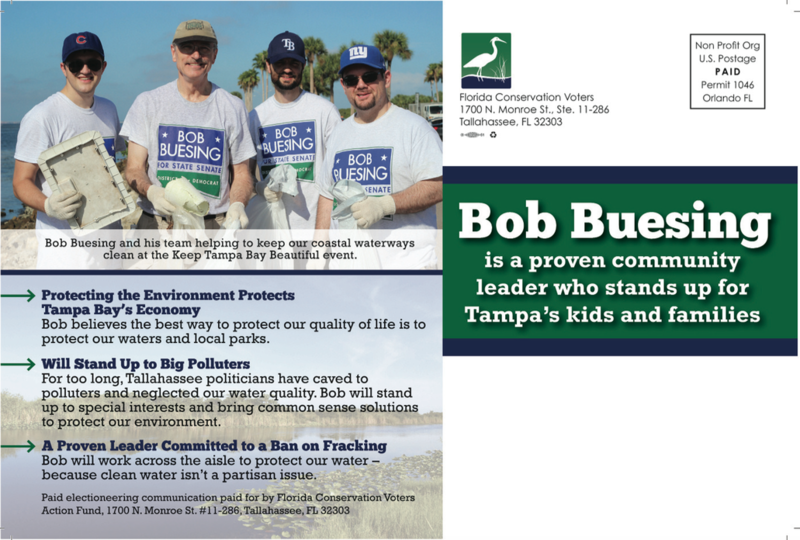 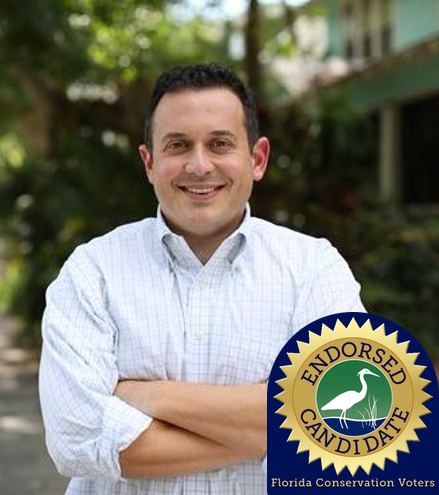 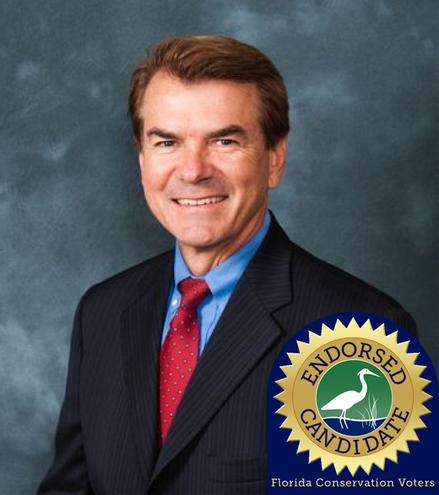 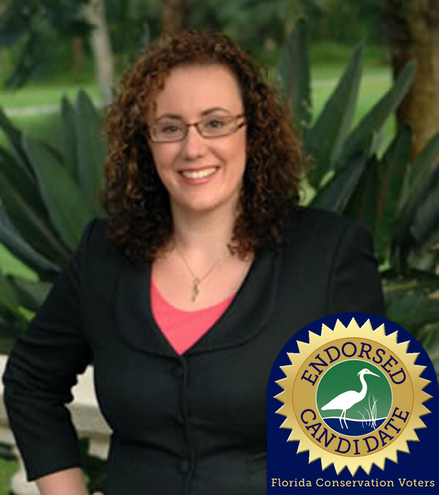 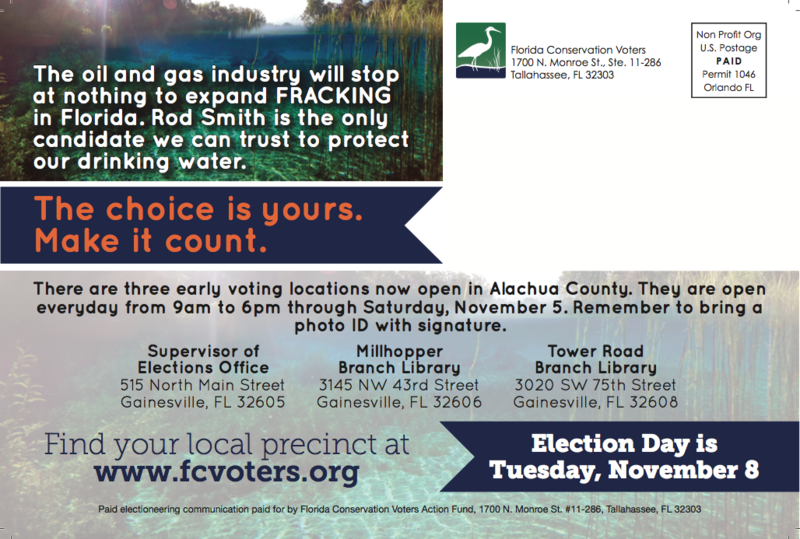 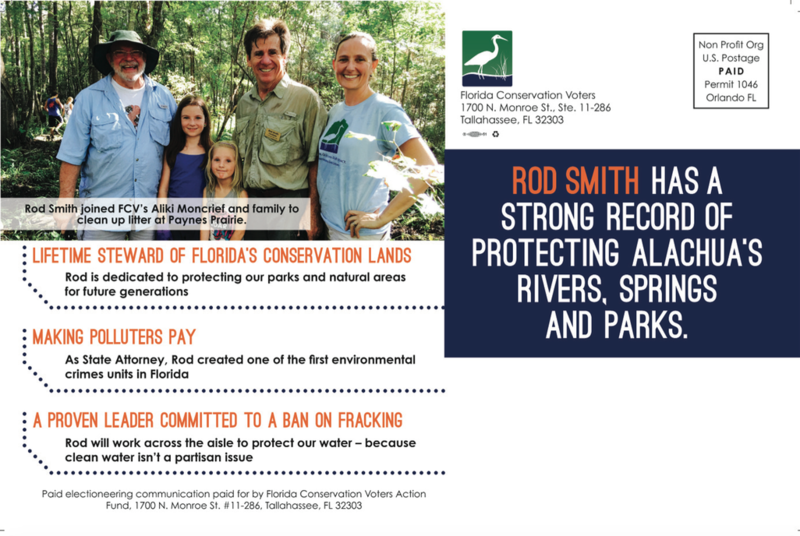 We made protecting our water and Florida's environment a central issue in two competitive races: Senate District 8 (Alachua, Putnam, and Northern Marion County) and Senate District 18 (Western Hillsborough County). 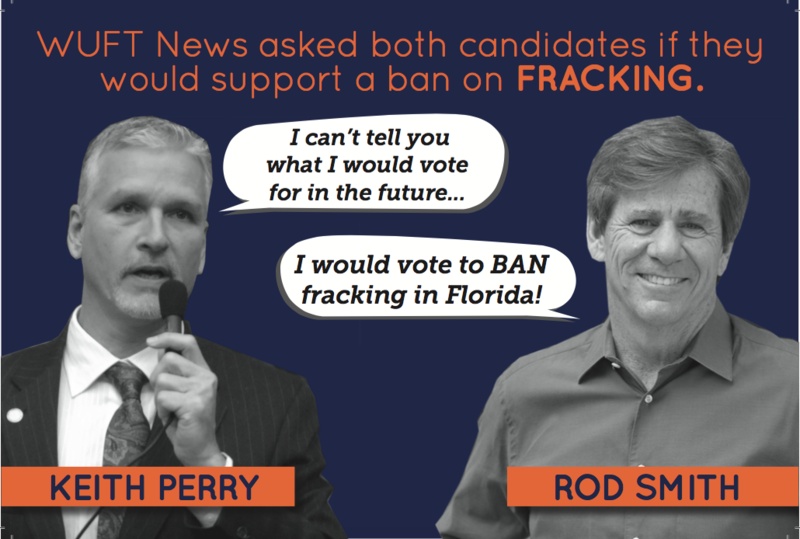 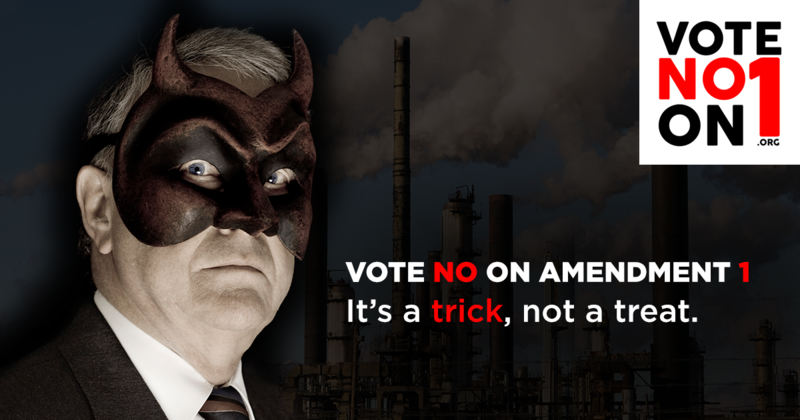 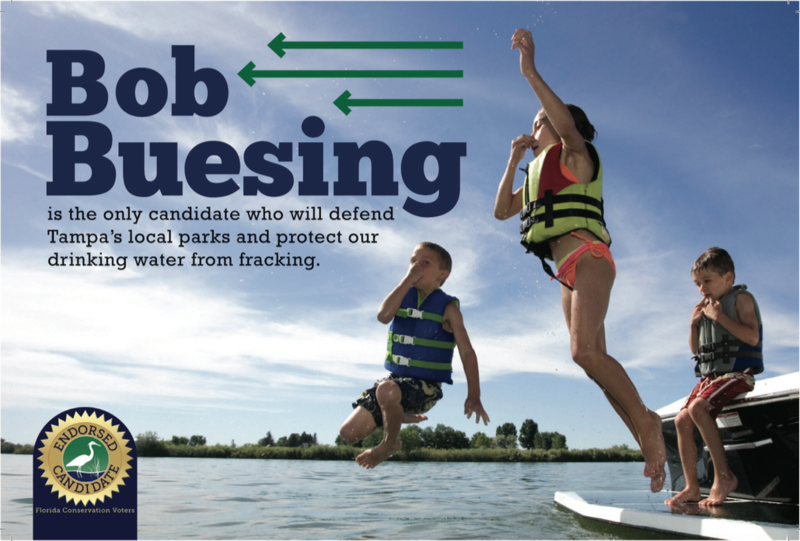 As a direct result of our efforts, fracking became a top issue in these campaigns. 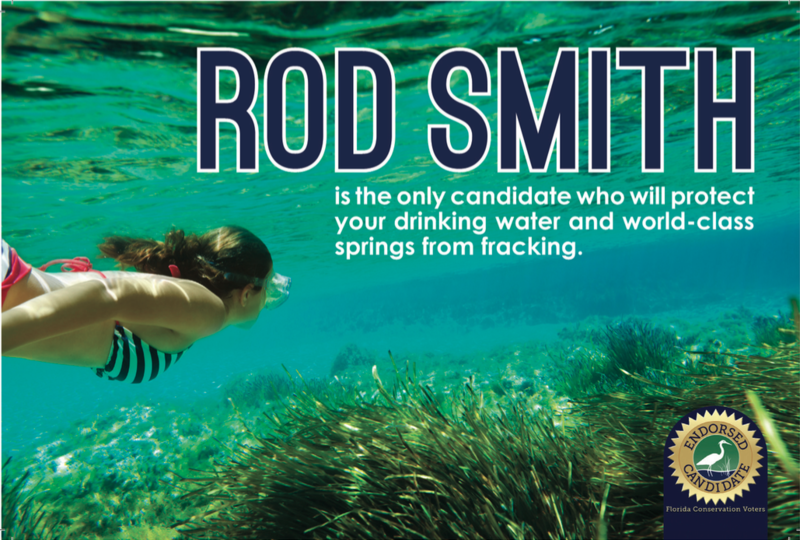 Fracking has emerged as the biggest issue in the campaign. 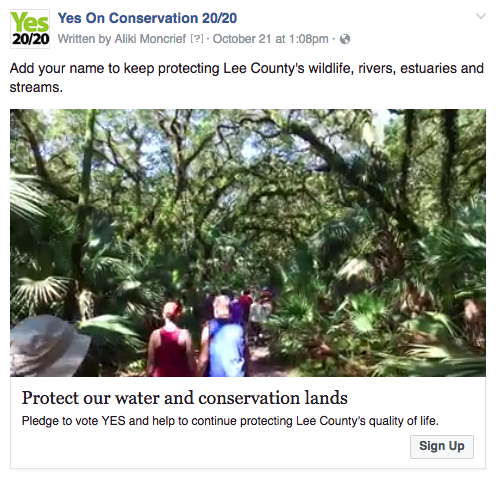 We endorsed local land conservation initiatives on the ballot in Alachua, Brevard, and Lee Counties. 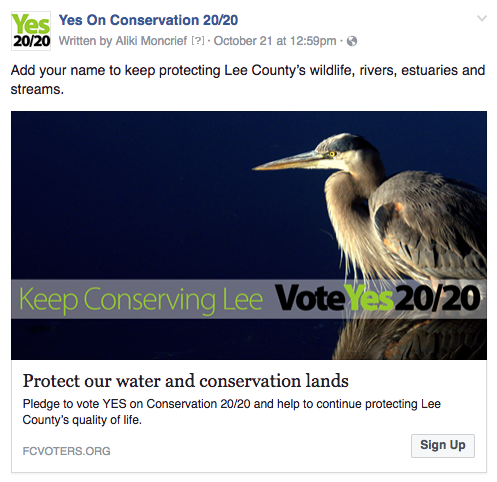 Working with Alachua Wild Spaces Public Places, Save Our Lagoon, and Yes on Conservation 20/20, we helped pass them all.